There are few things in the universe as important as gravity. One of them is spacetime, and the other—if it exists at all—is any underlying component of reality that allows for the creation, and persistence, of life in general. We have only studied organic life on Earth, as well as quasi-living entities we call viruses. There may be other forms of life beyond our single orbital we have yet to encounter, or which we have encountered, but do not recognize. One thing is for sure, however, in whatever form this other life takes, it would not be able to exist without gravity, because nothing can. Gravity is what holds celestial bodies together. People like to say that it “keeps us down to the ground” but that’s not a very reasonable way to put it. There is no up and down in space—and we are in space, just not outer space. So it’s more like gravity pulling us inward, and keeping us from going outward. The distinction matters, because it’s important to understand that a body gravitationally bound to another will always be pulled towards the center of that more massive object. Why exactly it does this is something we’ve been struggling with for years. 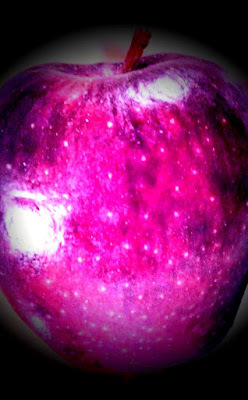 Contrary to the tale of the apple that has been misinterpreted into your brains, Isaac Newton did not discover gravity. At no point did someone have to realize that things fall down, or even that they don’t spontaneously float upwards. There are things like wind, lift, and pressure, which allow certain objects to move away from its gravitational pull, but that doesn’t mean gravity isn’t operating upon it. The reason those objects, like birds, are capable of resisting the effects of gravity to some degree is because gravity is a weak force. It’s the weakest force, because it takes a lot more to make it happen than it does to make the other forces happen. If gravity were stronger, the computer you’re reading this on may be experiencing a gravitational pull towards the center of your body right now. There’s an episode of Family Guy that demonstrates this by having several household objects float around Peter, suggesting that he’s so fat, he’s massive enough to hold his own orbit. And while we know that such a thing is impossible in the real world, and Isaac codified a great deal of the basic properties of gravity, there is still so much more to learn. The scientists who know the most about it still don’t understand what gravity is, how it works, or why it’s so much weaker than the other three (or four) forces. They’ve proposed this particle called the graviton, but there’s no proof it even exists. What we do know is that it’s vital to the universe. I’ve read some sources that say if we didn’t have gravity, everything would just fall apart, but that’s only a helpful image when you’re trying to explain what would happen if gravity suddenly disappeared. The truth is that, without it, nothing meaningful would exist at all. Particles would just be floating around in empty space, never having come together to form something larger in the first place. Gravity has done a lot to work against us. Rocket ships expend the majority of their fuel just getting off the ground, and away from the atmosphere, in the first place. And we don’t even have it that bad. It’s conceivable that a species living on a heavy world would never develop technology capable of reaching space, because it would just not be practical to try. Still, gravity is one of my favorite things, because we will one day conquer it, and once we do that, nothing will be able to stop us from reaching greatness.